What happens when beautiful Baltic Sea Russian Amber gets paired with authentic Stabilized Southwest Turquoise in jewelries? Outstanding, unique, and exciting necklaces are created for the fashion-forward kind of girl to wear! The Russian Store has quite a few necklaces with amber and turquoise together. All the necklaces were made by hand; many with hand-tied knots between each stone. 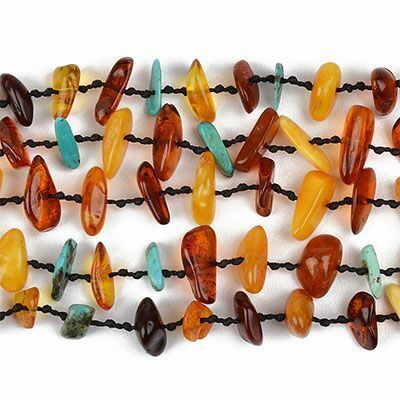 Some of the necklaces are mainly all honey-colored amber with just a few specs of blue turquoise thrown it... a wonderful splash of opaque color in a sea of translucent amber is really a wonderful sight! 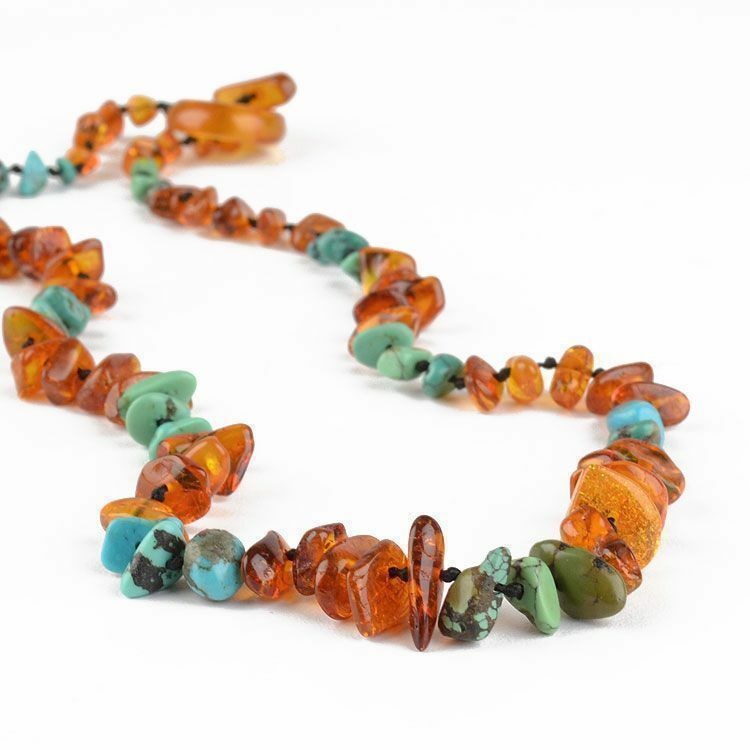 Beyond wearing such a necklace just for its beauty, one can wear an amber and turquoise necklace for maximum metaphysical benefits such as easing frequent headaches or calming sore throats. Amber is known throughout the healing myth world as an excellent general pain reliever and a stone that absorbs negative energy and emits positive energy. Turquoise is generally known as a communication stone. It is believed by many that turquoise opens the throat chakra and aids one to speak more freely. When you combine amber and turquoise and wear these two popular stones together, you may just end up feeling more healthy in the mind and body.